Event Description Breathe in the peace of creating with nature as the sound of ocean waves transport you. Reconnect to your inner child’s sense of wonder and possibility as you ‘play’ in the sand. 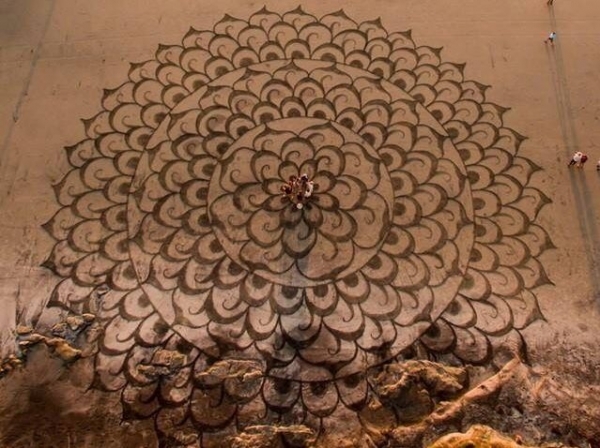 Celebrate the gift and impermanence of life as you create monumental art and then watch it wash away… We will begin our weekend drawing and painting mandalas. These will be translated into earth art at the beach each day. In this 1-day workshop we will connect to ourselves, to the beach and to our fellow creators as we engage in various activities, learning about the tools and techniques of massive art-making, and culminating in original artworks guided by the group process. We end with aerial photos for lasting memories.